** Cover Reveal ** All In by Christie Ridgway! All In by Christie Ridgway is coming soon on May 2nd! 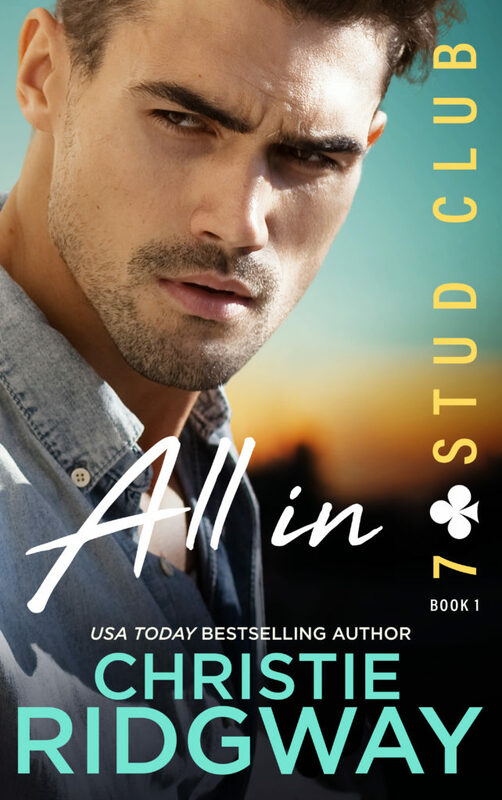 ALL IN is book one in the 7 Stud Club series and is a STANDALONE CONTEMPORARY ROMANCE. Previous∙ 🔥 ∙ Release Boost ∙ 🔥 ∙ RETALIATION by Kathy Coopman! NextRELEASE BOOST!! Heat (Series: The Russo Saga #1) by Nicolina Martin!